Anyone who keeps up with the church in China knows that there is a Christian Protestant Church which is endorsed by the Chinese government and is called the the Three-Self Patriotic Movement of the Protestant Churches in China. The T.S.P.M. is not a denomination, and denominational distinctions do not exist within the organization. Pastors are trained at one of only thirteen officially sanctioned seminaries. If you want to attend church without fear of retribution, the T.S.P.M. is ones only option. Although the Three-Self Patriotic Movement is not the only church in China. 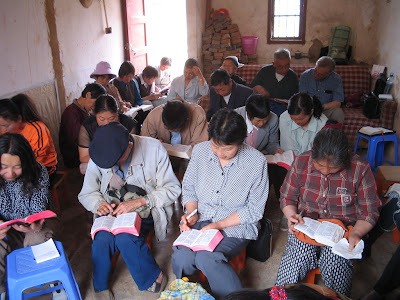 Small ‘House Churches’ have flourished for years and proven to be the true source of spiritual light in China. These unregistered ‘house churches’ have also been the recipients of regular and systematic persecution at the hand of the T.S.P.M. and the Communist Party of China. Just before the 2008- Summer Olympics in Beijing ‘house churches’ across China were hit by a wave of arrests and detentions. Church members and pastors were arrested, says China Aid Association, the leading support group for China’s persecuted Christians. Read the above article by The Christian Post. 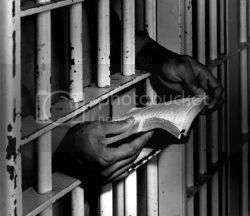 On May 21, 2009 we saw college students were met with opposition and some were incarcerated for sharing the gospel of Christ in Dayton, OH. Yes, Dayton, OH. read the article below…. This week we see the same spirit knocking on the home of a San Diego pastor and his wife who were having weekly Bible study in their home. 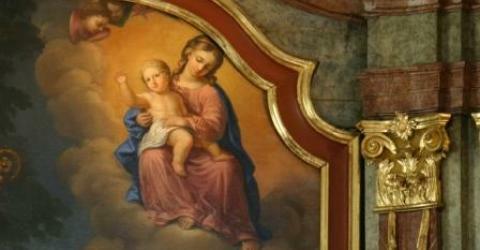 It is a spirit of anti-Christ and is becoming more vehement with each passing day. Pastor David Jones and his wife, Mary, were hosting the weekly study near their church, when they say they were visited by a county code enforcement officer. According to Dean Broyles, an attorney for the Joneses, the county official asked the pastor if they hosted a regular weekly meeting in their home, and if they prayed and said “Amen” and “Praise the Lord” at those meetings. After replying in the affirmative to those inquiries, a subsequent citation notified the couple they were in violation of county regulations, should stop “religious assembly,” and needed to apply for a “major use” permit to continue the gatherings — a process that could cost several thousands of dollars. Jones, his wife, and their attorney, Dean Broyles, were interviewed on the Fox News Channel. Broyles says the couple’s rights have been violated. The American Family Association has launched an online petition drive related to the incident, asking the San Diego County Board of Supervisors to immediately stop interfering with the rights of individuals to hold Bible studies in their homes. Article posted in its entirety from One News Now. With the unleashing of this anti-Christ spirit it should be apparent to those of us who know the word of God, that His Word is true, and from a prophetic perspective, it is truer still with each passing day. The very word to His disciples…. On March 26, 2009 I posted an article titled ‘the suppression of light’ Please consider it and you shall see what stage we are presently living in. There is another that shall follow. Many of our brothers and sisters in China are living at this level today. Pray for them, that God will under-gird them as they live and serve Him. If you could show us that you are the true church of Christ, we would pass immediately to your side because we wish to be with Christ. But you did not come with arguments for the truth. You put us in jail. You can take our lives but not our faith. A group of young Christian evangelists ran into trouble with the law while trying to evangelize on an Ohio campus. Five of seven members were arrested on the campus of Sinclair Community College in Dayton after being told to leave. All of it took place on public property. The group of Christians was approached by police who allegedly denied their constitutional right to freedom of speech. Student: “We have a right to be here”. One member of the group, Dan Poillon, remains jailed pending arraignment. Much of the action was caught on video by another member, but police seized the camera and still have it. Student Jason Storms describes the scene. I wanted to post the article from One News Now in its entirety so that believers that are living in America might see through the eyes of the Spirit the path that has been laid before us. Who would have ever thought that the events that transpired in Dayton, Ohio on May 21, 2009 would be liken to the days of communist Romania? Speaks volumes of where America is today in terms of our governments agenda. In 1963, the five justices on the Supreme Court banned Bible reading in the government’s public schools, perhaps to accommodate an atheist. Statistics from government sources show that crime increased 544 percent from 1962 to 1985. From 1962 to 2000, teen suicides were up 450 percent; child abuse up 2,300 percent; drug use by teens up 6,000 percent; arrests of teens up 150 percent; pregnancy by single teenagers, ages 15 to 19, up 500 percent; and divorces up 350 percent. It was a dangerous thing to kick, as it were, God out of the classrooms — the government educational system. Now contrast crime before God was excluded from the classrooms, and now. The U.S. Supreme Court could be the means of turning this nation around by requiring that the Ten Commandments be posted on the classroom walls, and a reading from the Sermon on the Mount be presented at the beginning of each day. This is the advise that the Lord Jesus Christ gave His disciples when he sent them forth bearing precious seed. You do not have to be a Rhode Scholar to see that the Lord warned them that His gospel would be met by opposition and to expect rejection from the world. We in America are just now beginning to feel the force of the prophecy. Our brothers and sisters all over Asia have been immersed in this type of rejection for decades. The only encouragement that we might find from our Lord’s exhortation is….. When Nikita Khrushchev made this statement before the U.N. Council, his intentions were most assuredly on a political front. After seeing the Berlin wall crumble in 1989, it seemed that there was no chance that this would ever happen in America. With the events that we see unfolding before our eyes everyday, his quote may prove to be more prophetic than we first thought. “the moral degradation and spiritual complacency of America”. Apart from the current economic woes of the nation, bestselling author and researcher George Barna warns that the United States is immersed in a serious decline that shows no signs of reversal – and that it is not politicians but the country’s dominant faith communities that hold the key to restoring the nation to strength and stability. Asked why the nation is in a downward spiral, the author of more than 40 books about American culture, faith and leadership noted the dramatic shift in goals and values that has redefined the United States in the past three decades. “We have shifted our energy from a willingness to work hard toward achieving significant outcomes to an attitude of entitlement,” Barna noted. “Instead of merely accumulating and enjoying leisure time to get refreshed, we now use it to express ill-formed, narrow-minded opinions that preclude dialogue and personal learning. We expect the market to pander to our needs in customized and personalized ways, producing a fragmented marketplace. We have transitioned from having a commitment to the common good based on shared values to an emphasis on personal good and individual values. I have always felt in my heart of hearts that the strength of a nation is grounded in a knowledge of God and obedience to His word. It is when that same nation stops praying, that it will eventually turn to sin and from God and His word. It seems to have it’s apparent start when the U.S. Supreme Court ruled in 1962 that it was unconstitutional to pray in public schools all across America. Form that point on the apostasy is likened to the proverbial snow ball rolling down the hill. “America is no longer a Christian Nation”. My biggest regret is that America was the nation to prove that God’s word has been right all along. The demise of our nation is is most certain if we do not humble ourselves and pray and repent and turn from our wicked way…….